Antacids are used to suppress heartburn, acid indigestion, burping, stomach bloating, and abdominal discomfort. Half of all Americans are believed to have taken store-bought antacids at least once in their lifetime (1). Many rely on them frequently. Recent studies show that although they may temporarily relieve symptoms, antacids may cause more harm than good. Stomach acid helps break down and digest food. Proper digestion only happens when you have healthy levels of acid in your stomach. Antacids neutralize stomach acid. This leads to a vicious cycle: not enough acid means that food isn’t being digested properly. The food had to stay in the stomach longer and more acid must be produced to digest it. This process is called acid rebound (2). Ironically, heartburn can sometimes be caused by a lack of stomach acid, which only becomes more severe with the use of antacids. These fluctuations between an over-acidic and over-alkaline environment can lead to more serious digestive issues and nutritional deficiencies. Stomach acid kills bad bacteria. Antacids create a more alkaline environment, where bacteria like Helicobacter pylori, the bacteria that causes stomach ulcers, can thrive (3). 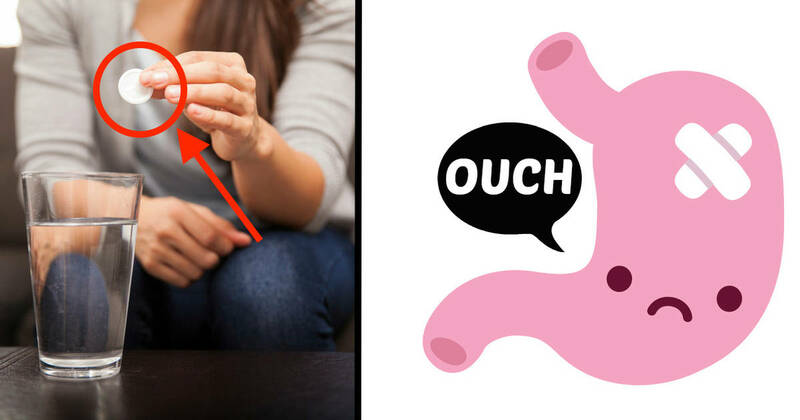 This bacteria attacks stomach lining, which can cause internal bleeding. It’s also been know to cause stomach cancer. Most antacids contain aluminum, which interferes with your body’s absorption of calcium, zinc and magnesium (4). These nutrients are essential for maintaining bone health. Some people actually take antacids because they’re advertised as being a calcium supplement. Ironic, isn’t it? 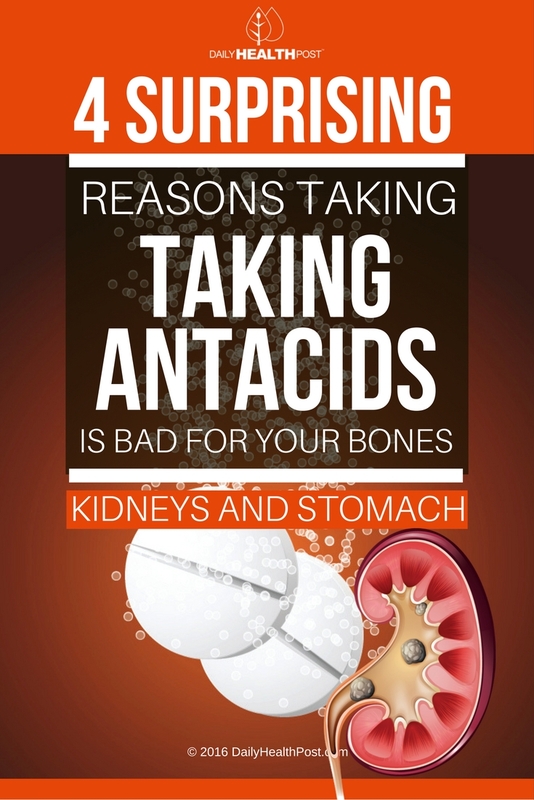 Long-term use of nearly any antacid increases the risk for kidney stones (5). Adults over the age of 60 should remove antacids from their pharmaceutical cabinets and try these remedies instead.